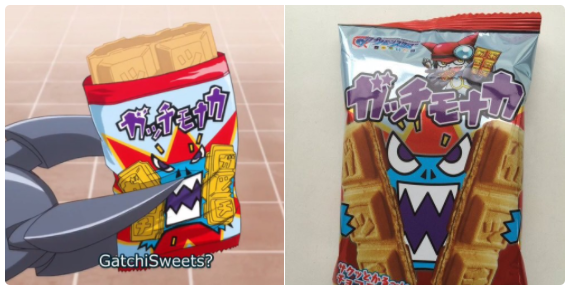 In Digimon Universe: Appli Monsters, Gatchmon in the fourth episode, falls in love with (and totally an intentional product placement) what's dubbed as "Gatchi Sweets" or "GatchiMonaka", which is wafer biscuit with bean fillings. 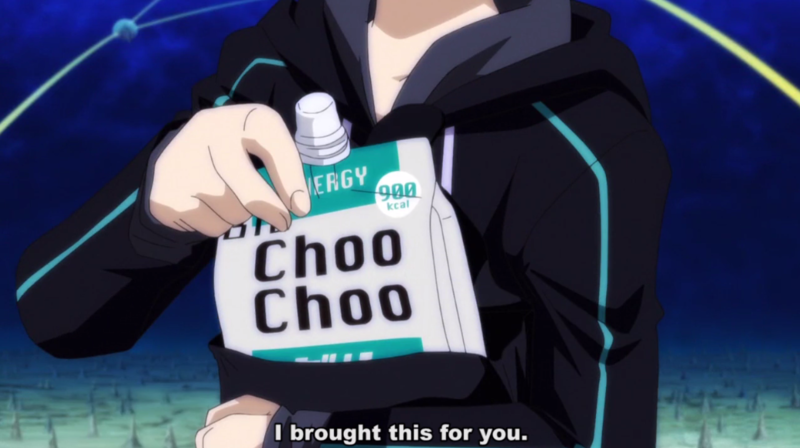 Frequently across episodes, we also see Rei, one of the protagonist characters frequently drinking small packets of a "Choo Choo Energy" drink of some sort. What exact is that, and does it have a real-world equivalent; physical thing? ... or is that drink totally and utterly fictional? While the in-work name is fictional, it is based off of real products: jelly drinks. More or less, all jelly-type drinks are in a semi-hard bag with a mouth to drink from on the top. And most of these drinks usually serve some health-oriented purpose, quick energy boost, daily vitamin intake, etc. There are many jelly drinks, and one that is very popular (and most likely the model) is the Weider drinks. Here's the website for Weider's jelly products. Not the answer you're looking for? Browse other questions tagged merchandise digimon or ask your own question.